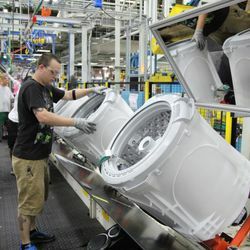 GE Starts Production of New Built-in Refrigerator, Expands Operations in Selmer, Tenn.
SELMER, Tenn. — Dec. 17, 2013 — (NYSE:GE) — Today, GE announced that it is celebrating the start of production of the first new GE Monogram® brand refrigerator product platform since 2001. 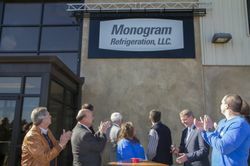 The new product is part of a $20 million investment in the Selmer, Tenn., Monogram Refrigeration production facility. 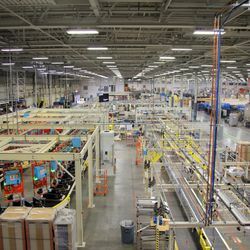 GE also announced the expansion of its warehousing operations to provide capacity for future growth. The new French door built-in refrigerator, part of the fastest-growing refrigeration configuration today*, is an addition to the other models made at the plant and is the first offering of its kind within the GE Monogram lineup. 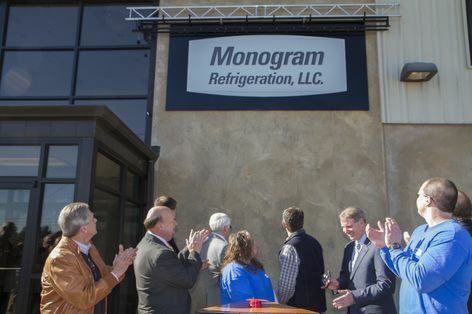 State and local government officials, including Tennessee Commissioner Bill Hagerty and McNairy County Mayor Ronnie Brooks, joined GE executives and 140 employees at an event to unveil the new refrigerator during a ceremony at the facility at 11:00 a.m. CST today. 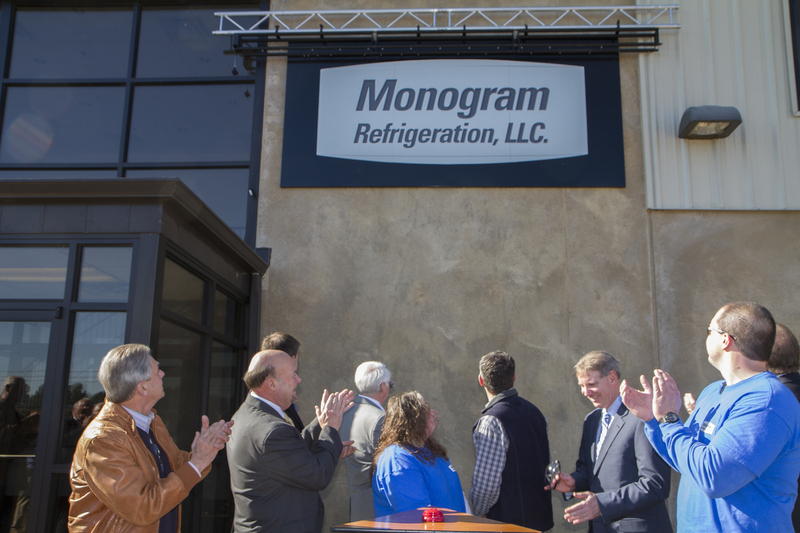 GE announced that it is celebrating the start of production of the first new GE Monogram® brand refrigerator product platform since 2001. The $20 million investment included retooling a line to make the new product as well as new metal stamping and welding equipment that will increase capacity to insource more parts, thereby optimizing quality and efficiency. The investment and insourcing has created 10 new jobs in 2013, and more new jobs are expected to be added in the coming years. 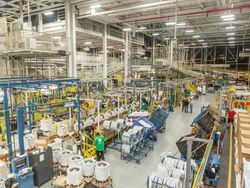 At the same event, GE unveiled a new 120,000-square-foot warehouse that will replace the Selmer operation’s 40,000-square-foot warehouse. The new space can accommodate additional manufacturing and product parts insourcing. Craftsmanship is the hallmark of the Monogram brand. GE’s Industrial Design Operation utilized unique, premium materials to create artisan-style quality. Tempered glass, fabricated steel and anodized aluminum emphasize the authentic luxury within each hand-built unit. An icemaker in the bottom drawer provides a ready supply of clean, fresh-tasting ice using GE’s advanced water filtration system. The new GE Monogram French door built-in refrigerator, built in Selmer, Tenn., will be available at select retailers in January of 2014 with full availability in September of 2014.